1. How does a SEP IRA differ from a regular IRA? 2. You deposit $500 into a three-year CD with a 3% annual interest rate. To the nearest dollar, how much will you have at the end of three years? You earn $15 of interest in year 1 ($500 * .03) and then a bit more in year 2 and year 3 due to the magic of compound interest for a total of ~$546.36 after three years. 3. If inflation is 3% per year, about how many years would it take for the cost of a cheeseburger to double? The rule of 72 says that if you divide the growth rate (in %) into 72, the answer will be the approximate number of years it takes for something to double. 4. You are 67 years old and considering whether to claim Social Security benefits now or wait one year. If you delay, your benefit will be 8% larger next year. Approximately how many years do you need to live for a delay to have been a wise financial decision? Consider the simple case of your benefit being $100 this year or $108, if you delay for one year. The delay makes you $100 poorer now but $8/year forever richer, beginning one year from now. After ~13 years, the extra $8 will have caught up to the $100 that you originally gave up. 5. You go to college and take out a $10,000 student loan every September for four years, for a total of $40,000 of borrowing. The interest rate on each loan is 5% and interest begins to accrue as soon as you borrow the funds. Approximately, how much will you owe on graduation day in May of your senior year assuming you made no payments over these four years? 6. 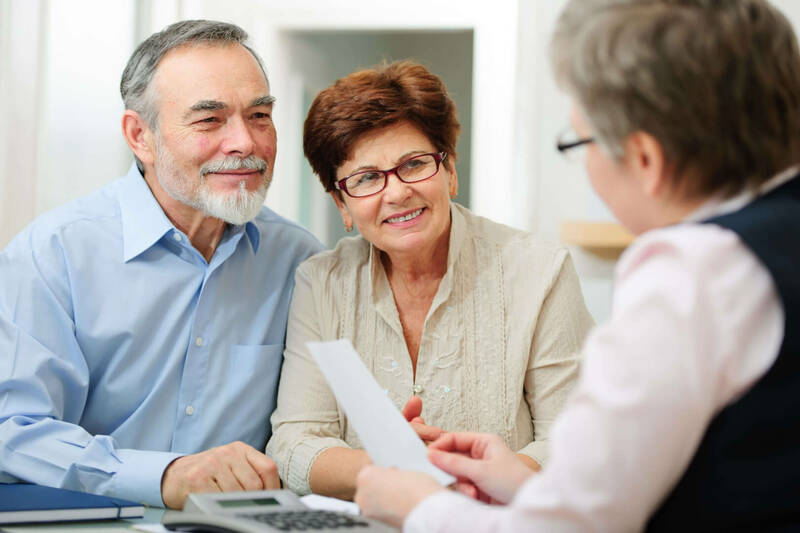 With a Traditional IRA, the IRS imposes required minimum distributions (RMDs) beginning in the year you turn 70 1/2. You must distribute at least this percentage from your IRA each year and pay tax on that amount. On what basis are these RMDs determined? The IRS looks at your remaining life expectancy at any age and divides that number of years into 1. The result is the % of your balance that must be distributed each year. For example, if the life expectancy for your age were 20 years, your RMD would be 5% (i.e., 1/20). 7. A lifetime annuity, sometimes known as a single-premium immediate annuity (SPIA), gives you a monthly payment for the rest of your life, in exchange for a one-time lump-sum payment to an insurance company. In what circumstance(s) might this annuity make sense? An annuity is longevity insurance and can be sensible to do in certain circumstances. Bond prices and interest rates move inversely. When interest rates go down, bond prices go up. 9. If your investment drops 50% this year and then goes up 50% next year, how much will you have at the end of the second year? Consider starting with $100. It would drop to $50 after one year and then go up to $75 in year two. 10. Tulips, residential real estate, and bitcoin have, arguably, all been subject to speculative investment bubbles at one time or another. What characteristic(s) do they share that contributes to their vulnerability to an investment bubble? “Selling short” is a way for an investor or speculator to bet that an asset will go down in value. It is an efficient way of keeping prices near their fair value by balancing out the believers with the non-believers. When an asset cannot easily be sold short, the believers are still buying but the non-believers cannot sell so the asset is prone to become overvalued.